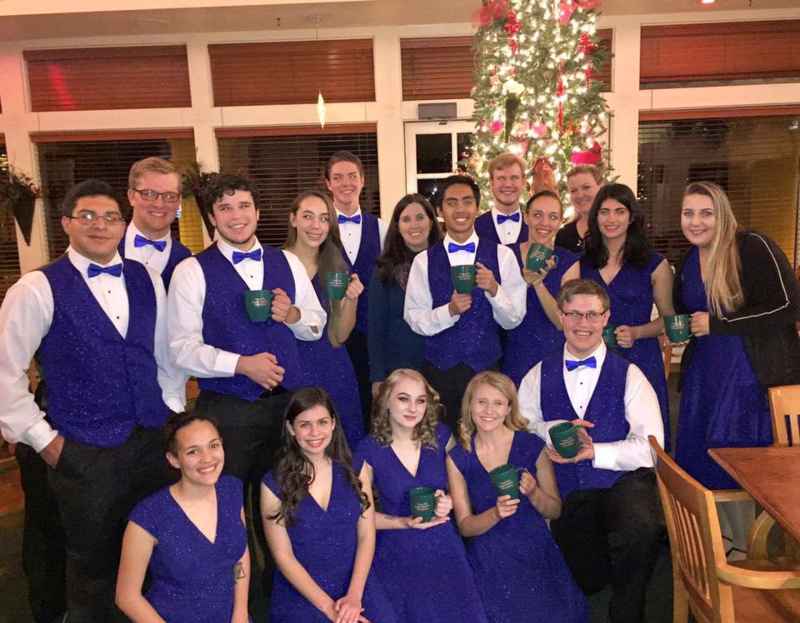 A grand holiday celebration was had by all Tuesday night at the Sierra Vista Rotary Club’s annual Holiday Party. The evening was started by a brief welcome by President Nancy. Everyone had a delicious dinner of either roast beef or chicken cordon blue with all the trimmings. The meeting was quickly turned over to Elsie McMillian to start the program "T’was the Night Before Christmas"! With Elsie reading the story and the Buena High School Rythmix singing, it was truly a night to remember. Everyone was asked to bring unwrapped gifts for the Toys 4 Tots Program, filling up 2 boxes. After a lovely sing-along, President Nancy wished everyone a wonderful holiday filled with family, friends, peace and joy. She also asked that everyone remember the men and women stationed abroad who will not be with their families and hoped for a speedy return to their loved ones. The evening ended with hot chocolate and cookies in beautiful mugs donated by Elsie and Les. This was a lovely way to capture all the amazing projects and funds raised this year. 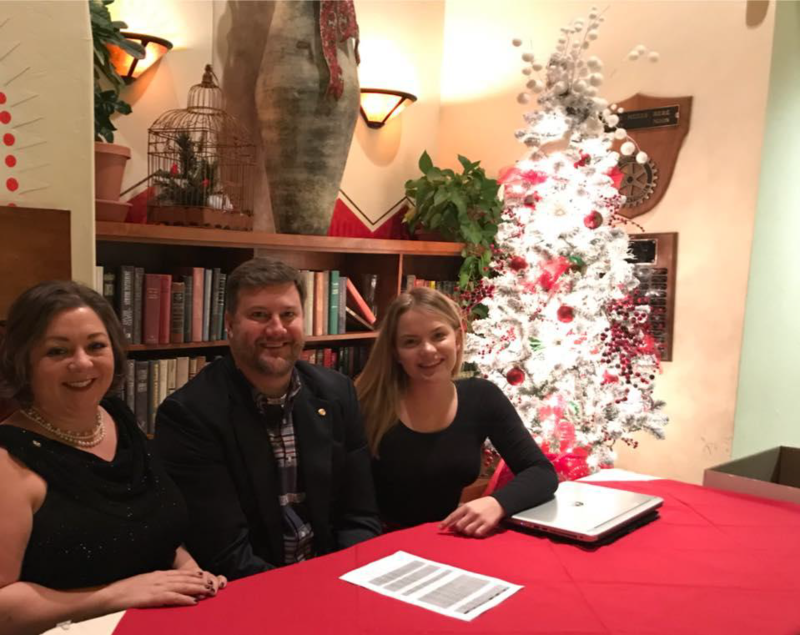 Huge thanks to Pueblo Del Sol Country Club for providing us a beautifully appointed room, service line, and staff and to each Rotarian who gave their time and service to make this year’s annual Holiday Party a success. 2018 has a lot for each Rotarian to look forward to as we plan the Baja Beach Bash fundraiser, additional community service projects, tree planting projects, and discover even more ways to "Make a Difference"!